I was recently having breakfast at home reading the Canberra Times (10 April 2013) report of the death of British Prime Minister, Mrs Margaret Thatcher. The article included a series of photos documenting Mrs Thatcher’s life. One of the photos caught my interest. 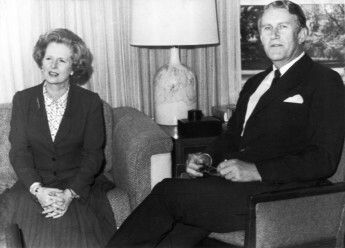 The caption read ‘Australian Prime Minister Malcolm Fraser and British PM Margaret Thatcher in Canberra’ 1st July 1979. I recognised the lamp (which is a bit unusual) and the chair Mr Fraser was sitting on as the one on display in the Prime Minister’s office at the museum. The time was right as the Parliament occupied this building until 1988 but the couch was a mystery—I had not seen this before. So I sent an email to our Heritage section asking if they agreed with my hypothesis that could be the PM’s office and if anyone had seen the couch before. Our Heritage team confirmed the lamp location and added that the chair Mr Fraser was sitting on was a Parker chair and the museum has several in the heritage furniture collection. Judging by the windows and the location of the furniture it looked like the PM’s office. The couch however remained a mystery. 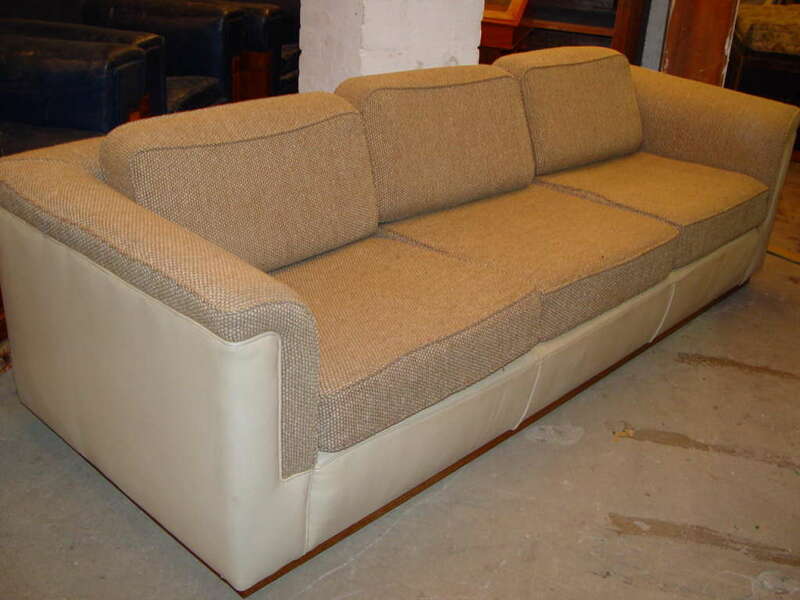 We have lots of couches but no one could remember seeing one with a light coloured vinyl or leather trim. Mind you we do have over 4,000 items in the heritage furniture collection so we could be forgiven for not recognising this particular piece! As luck would have it we were about to embark on our annual stocktake of the heritage furniture collection so the call went out to look for the mystery couch. We had a quest! Sure enough, during the stocktake we found the couch stored carefully in a nook under the House of Representatives chamber. It is at times like this that you really appreciate the significance of this special place where world leaders, such as Mrs Thatcher, visited our building and sat on one of our couches! That is very special and while the couch is not on display, the chair and lamp are in the PM’s office now and visitors can imagine what Mrs Thatcher and Mr Fraser said to each other while sitting there. 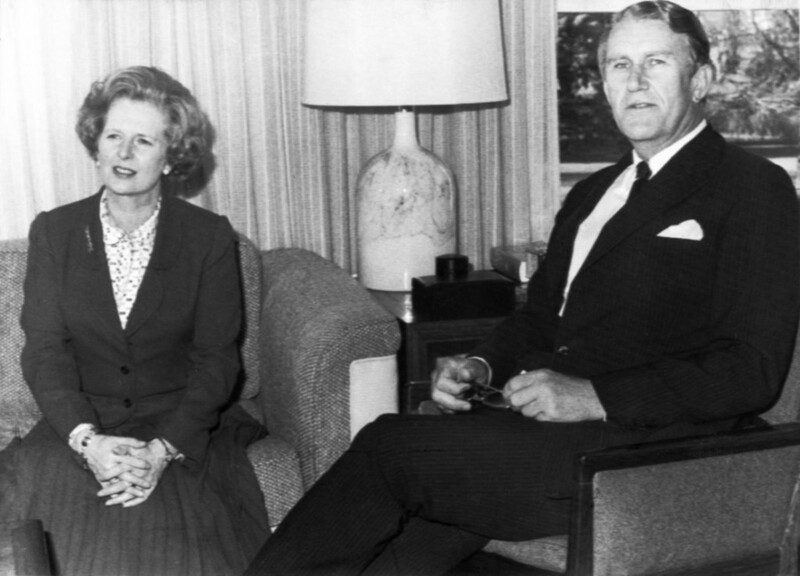 Australian Prime Minister Malcolm Fraser and British PM Magaret Thatcher in Canberra, 1st July 1979. The Age. Karen Hogan is the Chief Finance Officer at the Museum of Australian Democracy. Karen has a long standing personal interest in Australian and European history and enjoys working in this historic and beautiful Old Parliament House building. After many years working in various accounting roles in manufacturing, mining and regulation the museum provides a welcome convergence of professional and personal interests!